The Green Girl got a customized Race Bib and Medal Holder from Running on the Wall. The Running on the Wall displays are handcrafted from recycled MDF wood by wife and husband runners, Melianna and Alex. They also use water-based paint and non-chemical based varnishes. 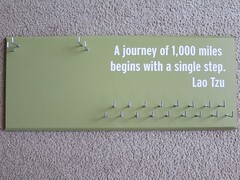 The exact Chinese translation of the quote 千里之行，始于足下 is 'A journey of a thousand li starts beneath one’s feet'. 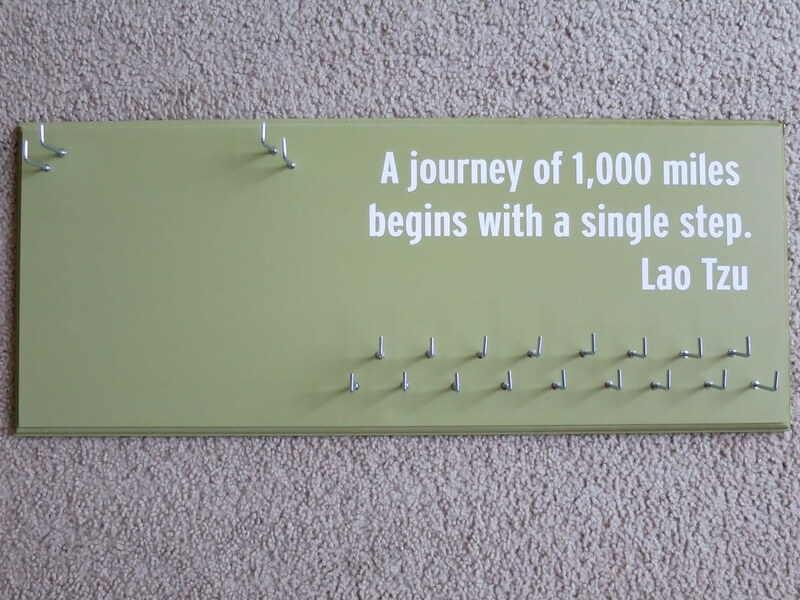 A li is the equivalent of roughly a third of a mile. 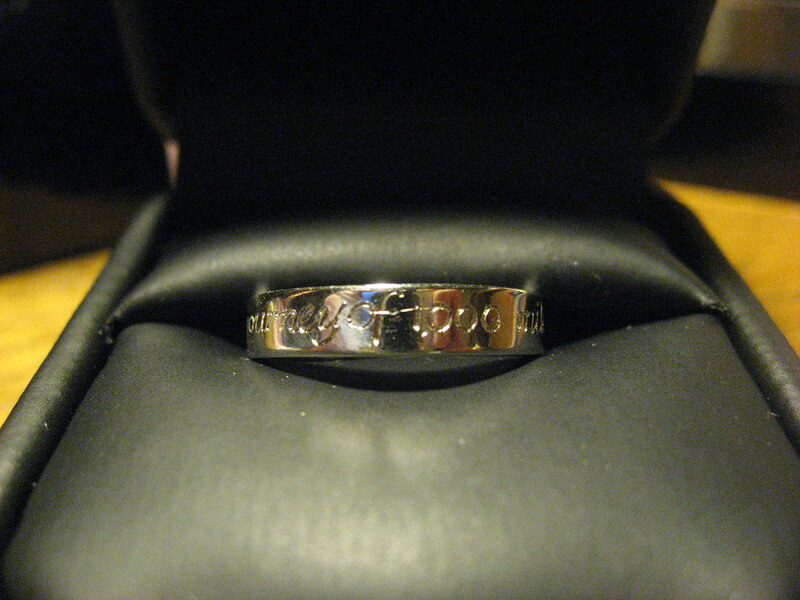 This quote is on the Inperspire Towel I use for yoga and it's engraved on my ring from my mum. 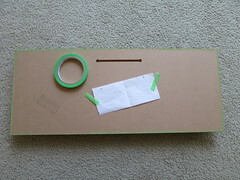 Melianna provided outstanding customer service and was very helpful when I inquired about the specific shades of green. My display was shipped quickly and securely (with no excess packaging) in a USPS Priority Mail box. The vinyl lettering was covered with a clear varnish for protection and easy dusting. 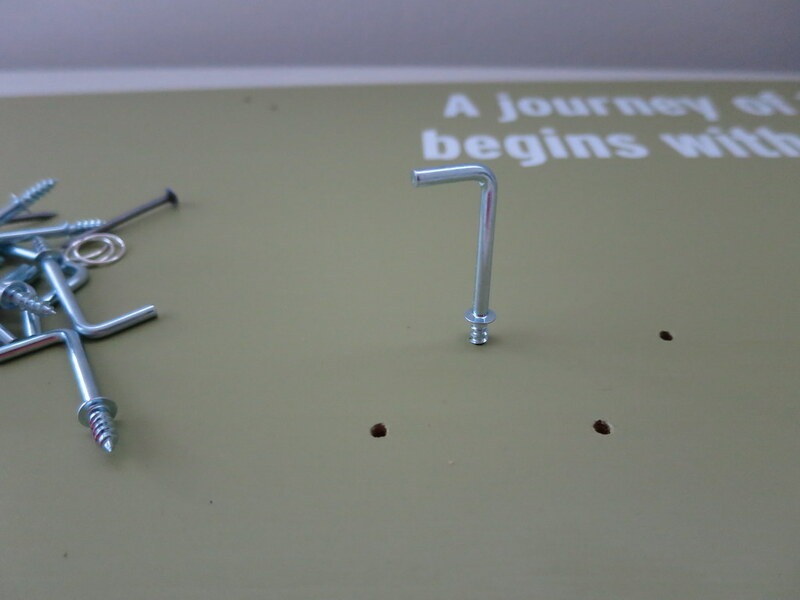 The display arrived with the hardware - L-shaped metal hanging pegs, 4 bib extension rings, and 2 nails - in a plastic zip bag. 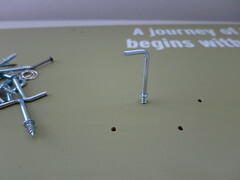 Assembly was straight-forward - I hand screwed the L-shaped metal hanging pegs into each of the pre-drilled holes until the flat portion was flush with the wood. 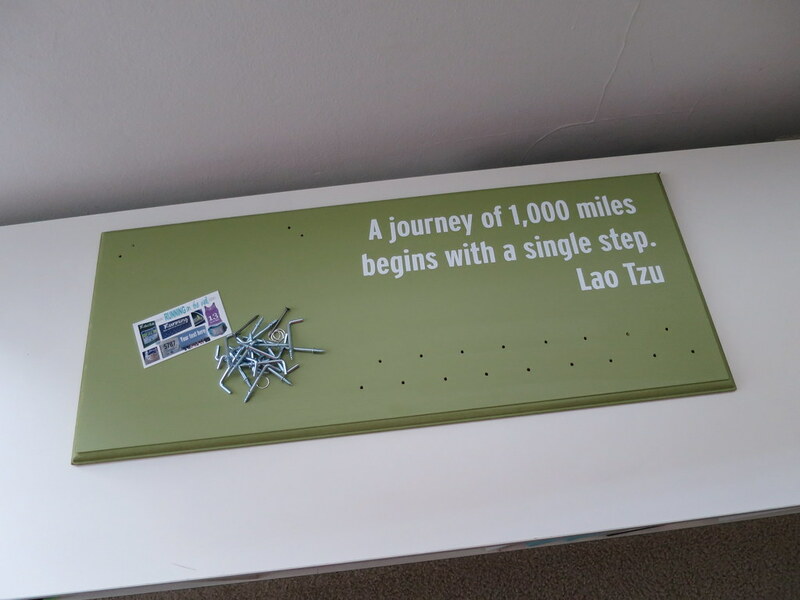 After all the hanging pegs were installed, I flipped the holder over and used a piece of scrap paper to jot dots down for the nail positioning. 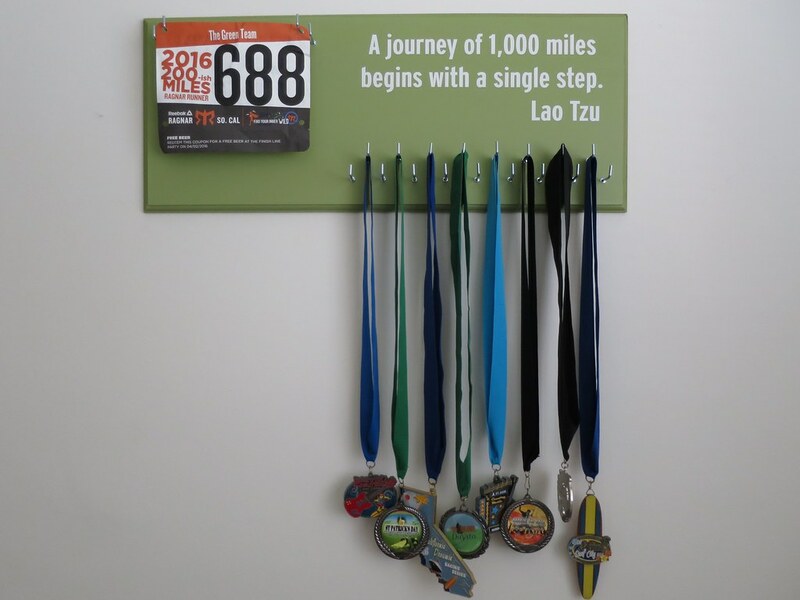 I'm absolutely thrilled with how my customized holder turned out and it's nice to finally have a way to display race bibs. Thank you so much for my awesome medal holder! I'm happy with how it turned out - and now I'll start keeping some of my bibs instead of tossing them. Heh. Wow! You have many medals. So great!